Clausulae are a stylistic feature of Latin prose where you end the different breaks in sense or grammar with different rhythms. There are metrical ones, popular in Cicero (d. 43 BC), that use long and short syllables the same way ‘classical’ Greek and Latin poetry do — although different metres (never use ‘strawberry jam-pot’, that’s obviously from epic); and there are the rhythmical ones, popular in Ammianus Marcellinus (d. AD 390), that use the stressed and unstressed syllables of Latin’s natural rhythm to produce the auditory effect. 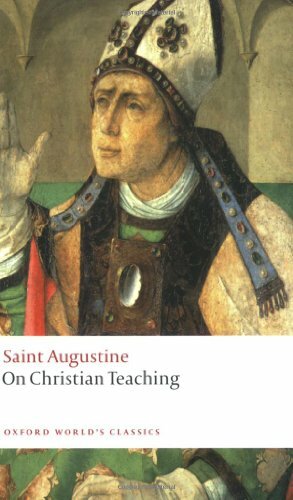 Whether Augustine means what we call ‘rhythmical clausulae’ or ‘metrical clausulae’ here, I am not certain. About a year ago, I sat down with Leo’s Tome and marked all of his rhythmical clausulae at the end of sentences or major clauses (ie. where there was a semi-colon). He also makes use of metrical clausulae, but I have not thoroughly investigated them. I found that Pope Leo I uses the standard ones consistently throughout the Tome, but I do not have my notes to hand, so I cannot tell you the exact findings. Shortly thereafter, I also investigated his biblical quotations in the Tome. Here I found that he often diverges from the Vulgate. This is unsurprising — Jerome’s revision that we call the Vulgate was still relatively new at this stage, and Leo is probably quoting from memory most of the time, anyway. One of the things I found was that, when Leo’s biblical text is not the same as that of the Vulgate, at least one scribe has ‘corrected’ it to match. What I also found is that on a number of occasions, Leo has transposed the word order or dropped in a different word with the same meaning, and as a result, produced a rhythmic clausula. Whether this was intentional or not, who can say? What it demonstrates is that Leo knew his clausulae, and he used them consistently enough that this affected his writing of the Latin Bible, which Augustine, above, has observed lacks clausulae. This observation is part of how I view Leo and the fifth-century at large. The world is still very classical — until 476 there was a western Roman Emperor, there was a Senate, people were still writing in the traditional genres, etc, etc. And so, despite the gradual cultural shift that would end up ‘mediaeval’, fifth-century Latin authors still demonstrate themselves to be ‘classical’, even when quoting the Scriptures or doing something ‘mediaeval’ like argue Christology or make rulings about canon law. Which should hopefully make us rethink ‘mediaeval’, anyway. *Recommended for people interested in semiotics, preaching, rhetoric, the Bible, God, logic, and so forth. He, apparently, invented semiotics in Book 1 of this text. So there.